There’s no shortage of fancy weather apps on the Google Play Store. And, at the core, they all serve the same purpose – telling you about the weather outside. The only thing that makes one app better than the other is the way they present the information. Over the years, we have reviewed a few weather apps that we found to be awesome – at both retrieving and presenting the weather information. Well, today, I present to you an app which I think is the best weather forecast app available on the Google Play Store – Overdrop. Upon installing Overdrop, you will have to grant it location & storage permission first. 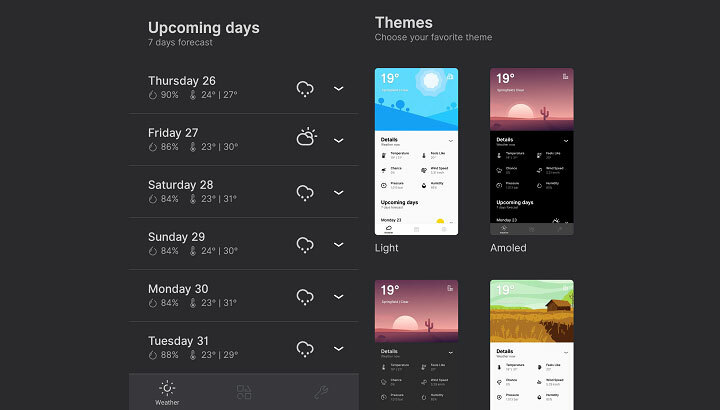 The first thing that catches your eye is the animated weather. The app shows the current weather condition for your location along with an animated illustration of the same. Below that, you’ll find the essentials like temperature, wind speed, humidity, the chance of raining, etc. Next up, the weather forecast for the upcoming days. All the necessary information i.e. day, date, and temperature is presented in a clean vertical manner. Tapping on a day reveals some additional information like a brief weather summary. Overdrop offers basic configuration functionalities like changing hour & date format, turning off/on animated weather illustration, temperature, etc. 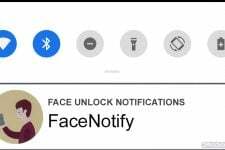 While we are in the settings, don’t forget to grant it notification access. 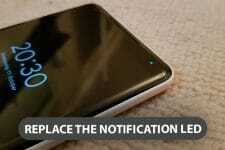 It’s necessary if you want to receive notification updates for change in weather. Plus, the developers are working on a new feature that adds a fully customizable weather card in the notification shade. The app also comes with a few themes that let you change the way the app looks. 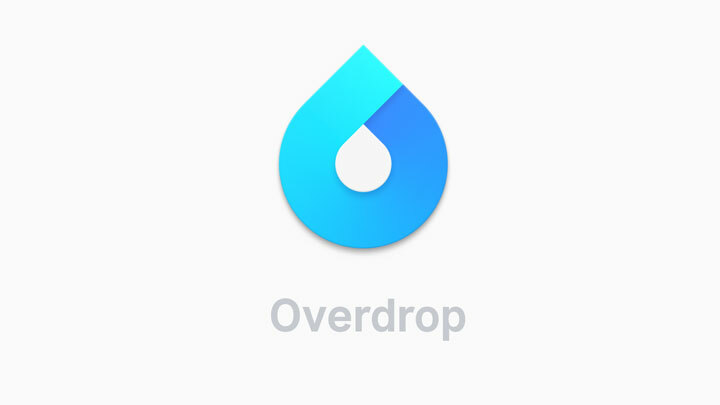 Now that we are done with the basics, it’s time for the best feature of Overdrop – the widgets. 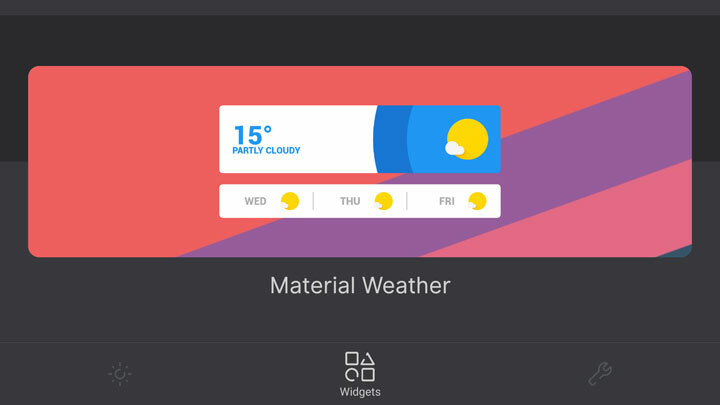 Overdrop has 10+ cool widgets that you can apply on your home screen. Moreover, you don’t have to install Zooper or KWGT for them to work. The app has a few cards styled weather widgets, along with a few clock, date & battery widgets. 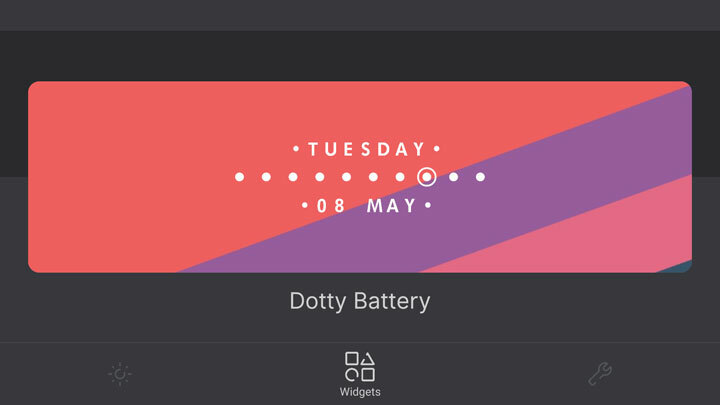 These widgets can be applied on the home screen just like your regular widgets. Purchasing the premium version will also support the developers monetarily. Overdrop has a Google plus community which you can join to communicate with the developer and offer suggestions or register complaints & bugs. Have you tried this app yet? Did you like it? 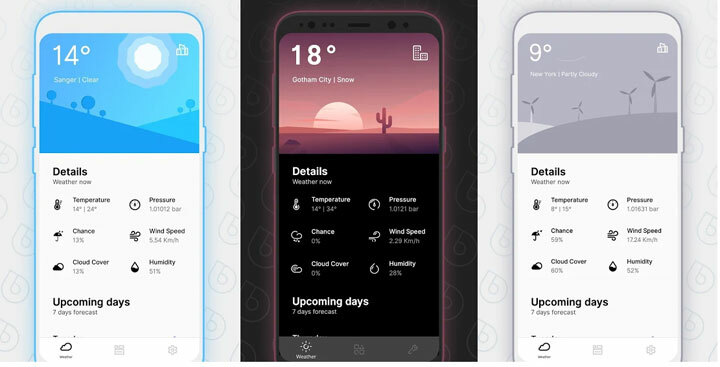 What is your favorite weather app? Tell us in the comments section below.